Believe in the possible . . . with this "warm, witty, and wise" New York Times bestselling novel from three-time Newbery Honor winner Jennifer L. Holm. A perfect Father's Day read about a child's relationship with her grandfather! Science can change the world . . . but can it go too far? Eleven-year-old Ellie has never liked change. She misses fifth grade. She misses her old best friend. She even misses her dearly departed goldfish. Then one day a strange boy shows up. He's bossy. He's cranky. And weirdly enough . . . he looks a lot like Ellie's grandfather, a scientist who's always been slightly obsessed with immortality. Could this pimply boy really be Grandpa Melvin? Has he finally found the secret to eternal youth? 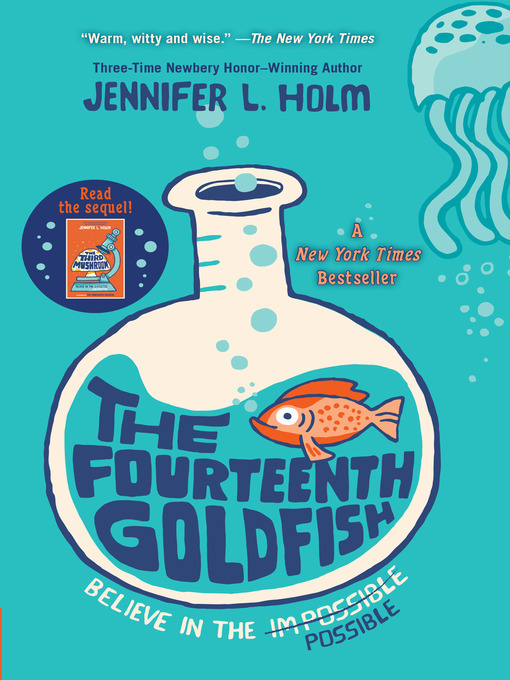 With a lighthearted touch and plenty of humor, Jennifer Holm celebrates the wonder of science and explores fascinating questions about life and death, family and friendship, immortality . . . and possibility.